Kids grow up quickly, don&apos;t they? One minute, you&apos;re up to your eyeballs in strollers, diapers, onesies and playpens, and the next minute, your children want name-brand clothes, a new bicycle and a new set of toys. I don&apos;t know about you, but I can&apos;t count how many pairs of kids shoes are in my house that were worn a few times and then the little weeds outgrew them. I have a house full of clothes and shoes that don&apos;t fit and toys that collect dust, and every time I turn around, we&apos;re buying more stuff for my daughters. 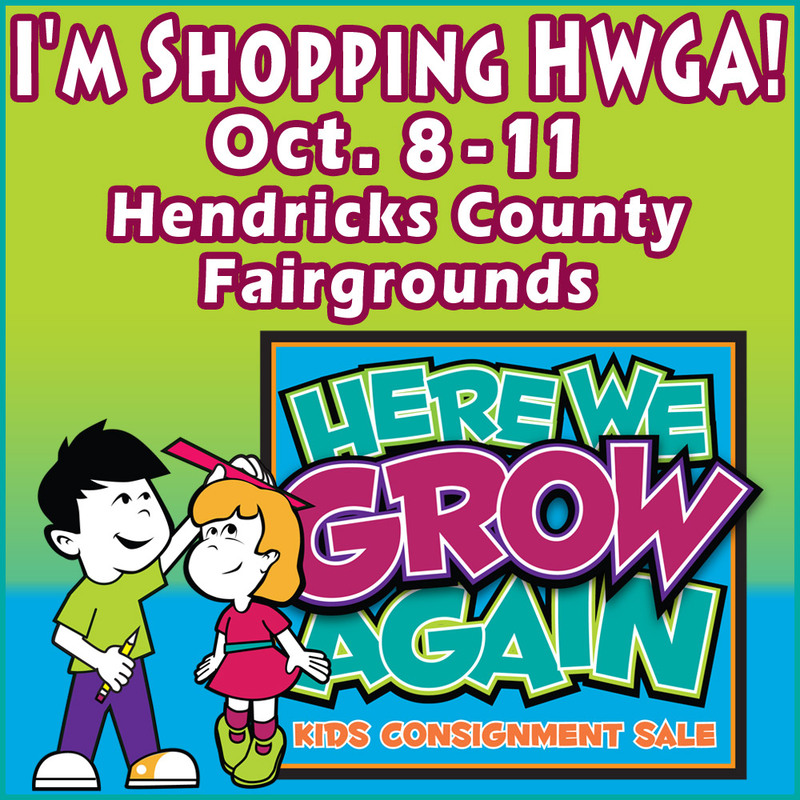 Instead, make your way out to the Expo Hall at the Hendricks County 4-H Fairgrounds & Conference Complex, 1900 E. Main St., Danville from Oct. 8-11 for the Here We Grow Again Kids Consignment Sale. The doors will open from 9 a.m. to 8 p.m., Oct. 8, 9 and 10, and from 9 a.m. to 4 p.m., Oct. 11. I even have some highly coveted passes for the pre-sale on Oct. 7 to give away! More on that in a moment. 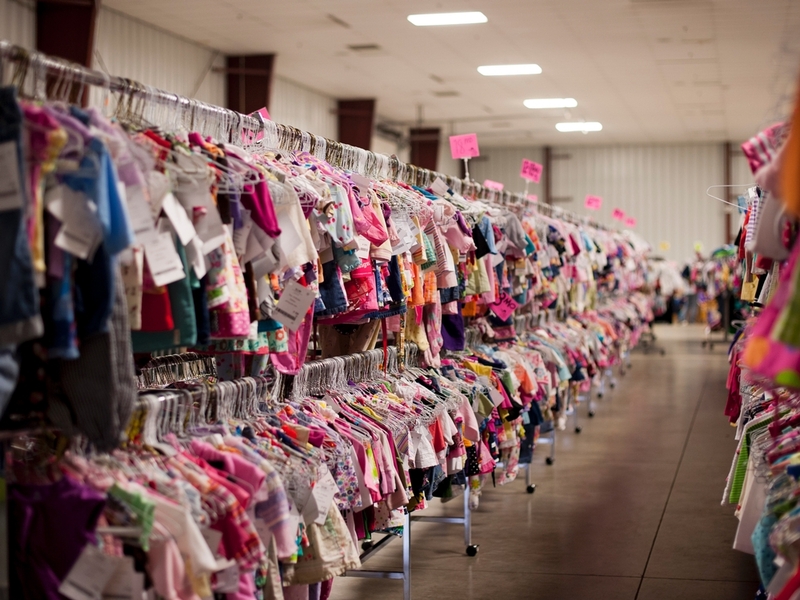 Here We Grow Again is where parents gather up gently used clothing, toys, kid-hauling equipment and all the other stuff that we need to keep our children warm, safe and happy. They sell these items at the consignment sale, where anyone can purchase them for a fraction of the price you&apos;d pay for new items. The consignors (sellers) make space in their homes and earn a little bit of coin. The shoppers come in and find fantastic values on all sorts of stuff: gently-used or new children&apos;s clothing (newborn up to junior sizes), toys, electronics, sports and play equipment, shoes, books, software, movies, games, strollers, furniture, baby equipment, nursery items and decor, maternity/nursing items and more. The volunteers help Here We Grow Again pull this event off, and they get first crack at all the cool merchandise, plus they get drastically reduced prices on everything! Do you want to get in on this action? Simply click here to learn how volunteering three hours of your time will earn you a pass to the volunteers-only pre-sale party, where you get to look through the cream of the crop and shop for half-price items before consignors and the public, and you&apos;ll get $10 in Here We Grow Again Bucks to use toward your purchase. Here We Grow Again will host a FREE safe trick-or-treat night from 4-8 p.m., Oct. 9. Get the kiddos all decked out in their Halloween costumes and bring them through the vendor line for a night of fun! Oct. 10 and 11 bring Discount Days, where most items are 25% off on the 10th and 50% off on the 11th. Cash and credit is accepted at Here We Grow Again, so use either method of payment to bring home all kinds of stuff that actually fits your kids without having to dip into their college savings plans to pay for it. For those of you who are regulars to this sale, one other change had to be made this year. Because the event will be so large, it had to be expanded to two rooms inside the Fairgrounds conference center. As a result, visitors must enter through the main front entrance of the conference center. We have three presale passes that we will award to three readers who comment below. To enter the drawing, tell us what you hope to find at the sale or if you have found a great bargain at a previous sale. You have until 10 a.m., Oct. 2 to enter, and the winners will be notified by e-mail. Wednesday, Oct. 8 through Saturday, Oct. 11. 9 a.m. to 8 p.m., Wednesday through Friday; 9 a.m. to 4 p.m. on Saturday. Hendricks County 4-H-Fairgrounds in Danville. FREE safe trick-or-treat: 4 to 8 p.m., Thursday, Oct. 9. Discount Days: Friday, Oct. 10 and Saturday, Oct. 11.